Summer is speeding right by -- hard to believe that it's nearly time for back to school. It's also time for another exciting edition of Wendy's Great Eight! This month, I'm featuring my new favorite health food finds, snacks that are perfect for packing in those back-to-school lunches, and a great way to get a quick coffee fix. Let's get started! (1) International Delight Ready-to-Drink Iced Coffee. One of my favorite indulgences this Summer is iced coffee. Lightly sweet, cooling, and caffeinated...it's a perfect afternoon pick-me-up on a hot Texas afternoon! I was thrilled to discover International Delight's easy-to-drink iced coffee in the refrigerated section of my local grocery store. It couldn't be more convenient -- simply pour the coffee over ice and drink! International Delight Ready-to-drink ice coffee is made with coffee, a bit of pure cane sugar, plus real milk and cream. It comes in four great flavors: chocolaty Mocha, smooth Caramel Macchiato, creamy Vanilla, and fun Oreo (their latest flavor!). My favorite flavor is the Caramel Macchiato -- the ratio of coffee to cream is spot on. Each 8-ounce serving is 120 calories and 2.5 grams of fat. I typically add a bit of vanilla almond milk and one packet of stevia-monkfruit sweetener to suit my tastes. To save a few calories, International Delight also offers 90-calorie Iced Coffee Lights in Caramel Macchiato and Mocha flavors. To find International Delight Ready-to-Drink iced coffee at a retailer near you, be sure to check out their handy online store locator -- which is searchable by product. (2) Hammond Chocolate Bars. Over the past few months, I've made some big changes to the way I eat. I've been focusing on eating less sugar and better carbs. However, I always include one or two treats each week to keep things fun -- typically a bit of chocolate! One of my favorite recent discoveries is Hammond's line of creative and delicious chocolate bars. Their fun flavors include Midnight Snack (milk with pretzels, cookies, brittle, marshmallows, and cereal); Grasshopper Pie (dark with a minty filling); and Bourbon Pecan Pie (milk filled with a decadent bourbon pecan caramel). My personal favorite Hammond chocolate bar is their addicting sweet-salty Pigs n' Taters -- milk chocolate with pieces of real bacon and potato chips! If you're a fan sweetly salty treats, this chocolate bar will blow your mind! Silk milk chocolate is studded with bits of crunchy-salty potato chips and crispy-savory bacon! To find Hammond's products near you, check out their searchable Where to Buy function. Hammond also has an online store that offers nationwide delivery. (3) Simply7 Snacks. There's something that is so satisfying about eating crunchy snacks -- they're perfect for dipping, snacking, and pairing with sandwiches. The key is to make wiser choices. This Summer, I've been enjoying Simply7 snacks made with quinoa, hummus, lentils, kale, and organic veggies. This Houston-based company makes their yummy gluten-free snacks using clean and simple non-GMO ingredients, zero added preservatives, no trans fat or cholesterol. I love that these snacks are not only a healthier option...but they taste great too! 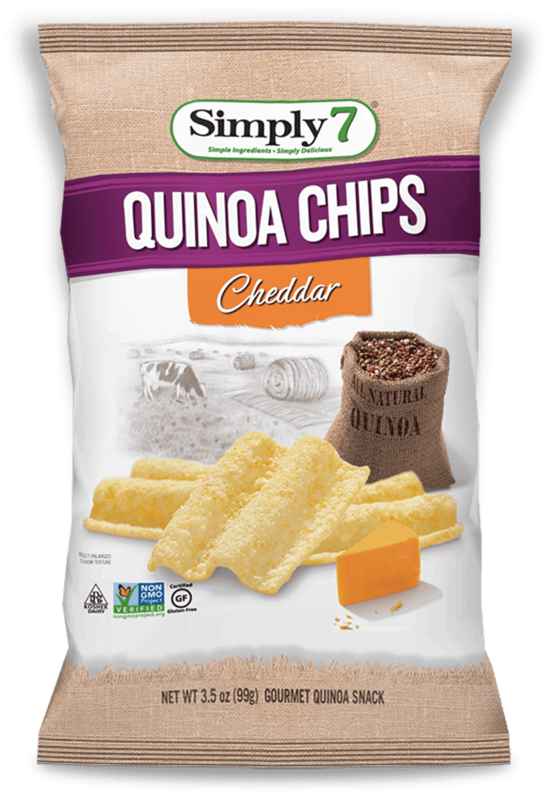 My favorite Simply7 varieties are the light and crispy Cheddar quinoa chips (1 ounce is 140 calories and 6 grams of fat) and the spicy Jalapeno Lentil Chips (40% less fat than traditional potato chips!). Love popcorn? Simply7 has recently teamed with Giada De Laurentiis to create a line of popcorn from blue and red corn that's simply flavored with Italian-sourced ingredients. To locate Simply7's snacks and popcorn near you, visit the Store Locator at their website. (4) Laughing Cow Cheese Cups. I love Laughing Cow cheese -- until recently, you'd find a round package of their creamy cheese wedges in my fridge nearly all of the time. However, I've found a new way to enjoy this favorite food item: in convenient single-serving Cheese Cups! This fun product comes in three flavors: Original Creamy Swiss, Creamy Swiss Garlic & Herb, and Creamy White Cheddar. Each single-serve cup contains 90-1oo calories and 4-5 grams of protein. These convenient portion-controlled cups are portable -- making them perfect for school lunches or work brown bags. They're great with pretzels, and I add them to my morning egg scrambles -- they melt in, providing pockets of melty cheese goodness! Want to find this product near you? Visit their online Product Locator, which is searchable by specific Laughing Cow product. 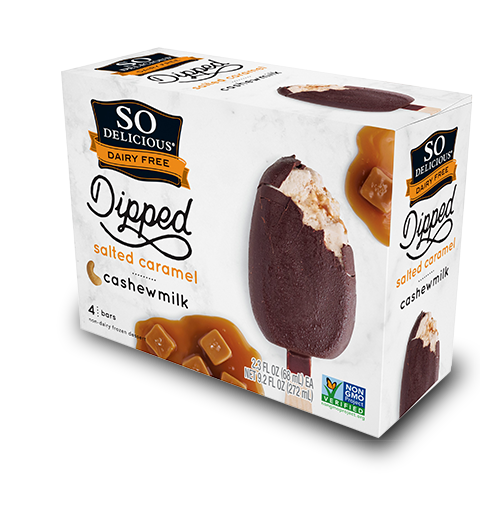 (5) So Delicious Dipped Salted Caramel Cashewmilk Frozen Dessert Bar. One of our favorite evening dessert to enjoy after dinner, before bed, is ice cream bars. However, most of these frozen desserts are too high in calories to indulge regularly. 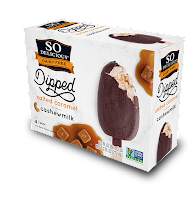 I was thrilled to find So Delicious Dipped Salted Caramel Cashewmilk Frozen Dessert Bars! This creamy vegan-friendly bar is dairy free and gluten free -- made with cashew milk. You'll *never* guess that it doesn't contain dairy! The bar features a swirl of salted caramel and is dipped in dark chocolate. Each satisfying bar contains just 180 calories. Not a fan of cashew milk? 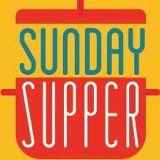 So Delicious also offers frozen bars and pints made with coconut milk, almond milk, and soy milk! So Delicious frozen products can be found at major retails nationwide. (6) Rockin' Rubs Dry Spice BBQ Rubs. I'm a big believer in using spices and rubs to add my signature Big Flavors to the foods I cook. Versatile seasoning blends can transport simple foods like chicken breast to new flavor heights! I've been using Rockin' Rubs in my kitchen the past month, and they've quickly become a go-to ingredient in my nightly dinner rotation! Each of their six dry spice rub blends is hand made in small batches and contains a mixture of fresh herbs, spices, and other special ingredient. 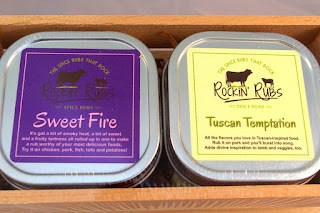 Each rub comes packaged in 4-ounce tins. Flavors include Porcini Truffle, Mediterranean Bliss, Tuscan Temptation, Steak Mojo, Sweet Inferno, and Baja Border Blend. 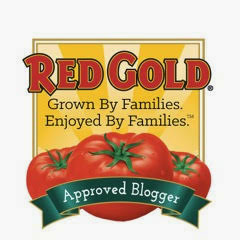 My personal favorite is the 2o18 Specialty Food Association's Gold sofi™award-winning Tuscan Temptation blend. It features Italian spices, fennel, coriander, and sea salt. I love to rub this on chicken breasts and shrimp skewers before grilling! It's great sprinkled on veggies before roasting them in the oven too. 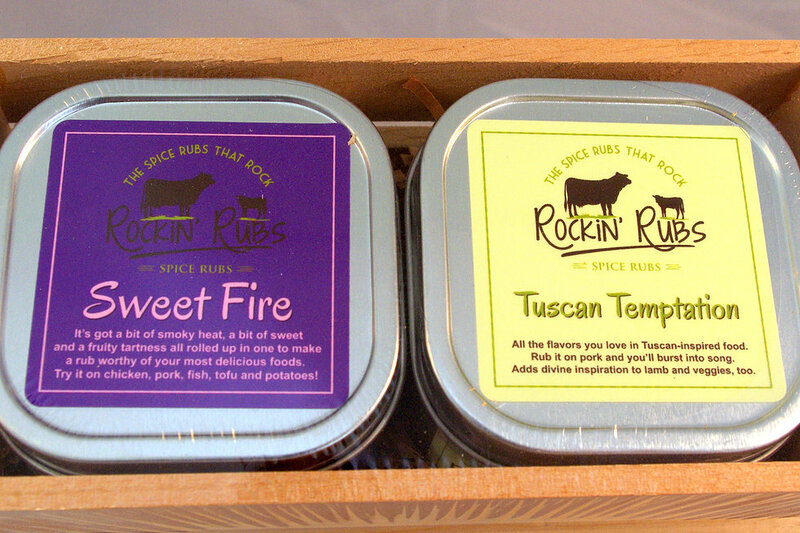 Rockin' Rubs can be found at select retail locations in Colorado and California, and they ship nationwide via their online store. 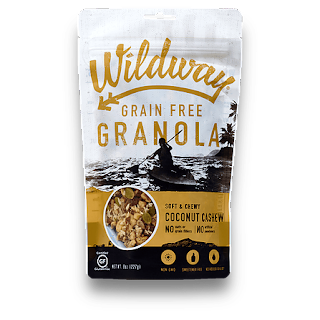 (7) Wildway Grain-Free Granola. I love granola -- it's perfect for sprinkling on top of a fruit and yogurt parfait for a quick and healthy breakfast. I'm trying to be smarter about the carbs I eat, so I was thrilled to discover San Antonio-based Wildway's Grain-Free Granola. This vegan-friendly granola is free of grain, wheat, and gluten...and it doesn't contain artificial sweeteners, extracts, or flavorings. The flavor is delicious from simple ingredients like dates and other dried fruit, nuts, and natural spices. 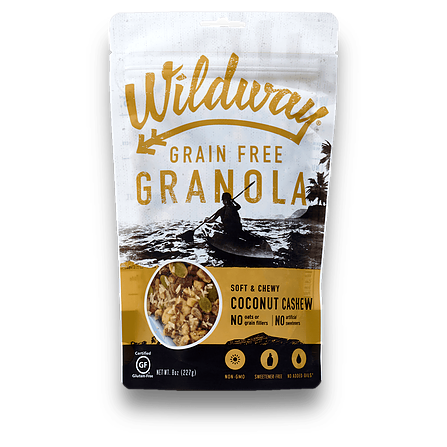 Wildway has four flavors of grain-free granola: Apple Cinnamon, Coconut Cashew, Vanilla Bean Espresso, and -- my personal favorite -- Banana Nut. A 1/4-cup serving of this flavor of Wildway's chewy grain-free granola on top of your favorite yogurt-fruit parfait is 140 calories, 11 net carbs, and 3 grams of protein. I love the texture and flavor that it provides! Wildway also offers a line of grain-free instant hot cereal and smoothie bowl starter mixes. Wildway products can be purchased at major U.S. grocery chains, as well as their online shop. (8) Nutiva Liquid Coconut Oil and Organic Hazelnut Spread. Over the past few months, I've been using food items that let me enjoy my favorite flavors and cooking styles in a healthier way. A duo of items from Nutiva have been a key part of these dietary changes. Nutiva believes in two ideas: innovation and purity. 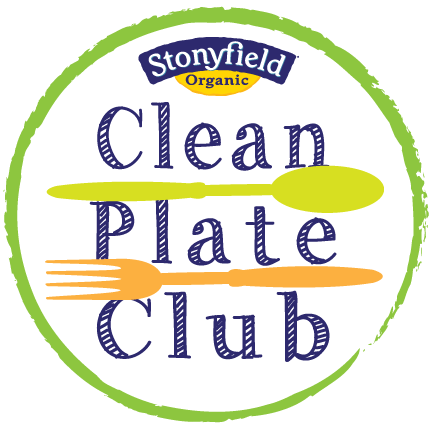 Innovation to challenge the status quo and create an eco-positive impact and Purity to nourish people and the planet. That's a philosophy I can support! 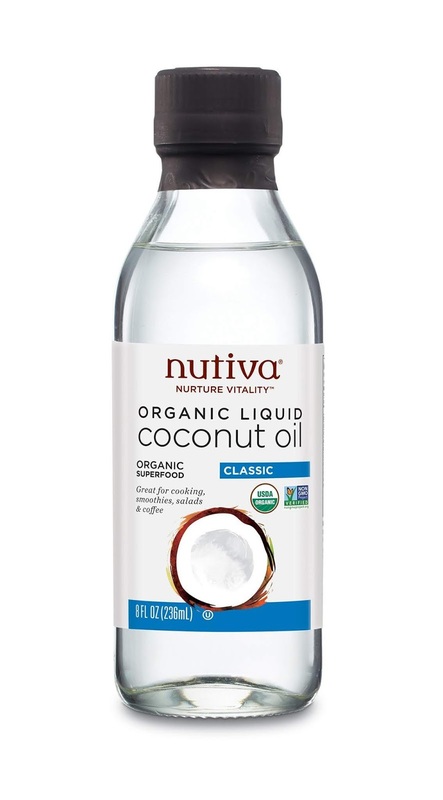 Their innovative Liquid Coconut Oil smells great when heated and has a delicate flavor. This non-hydrogenated oil is created via a certified organic process that allows it to remain liquid even at low temperatures. It's perfect for sautéing meats and veggies! 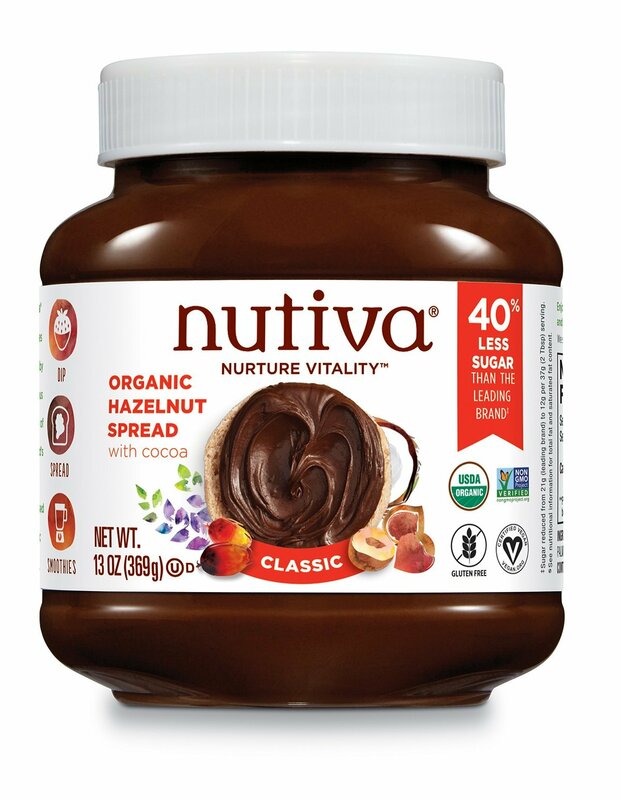 For a special treat, Nutiva's organic hazelnut spread is a better-for-you version of a popular chocolate-hazelnut spread. 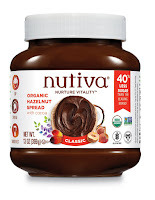 Nutiva's delicious organic hazelnut spread comes in Classic and Dark chocolate varieties. It has 40% less sugar than the leading brand of hazelnut spread, and it's vegan and non-GMO. This spread is made from sustainably sourced superfood ingredients, including flaxseed, coconut oil, and chia seed. Best of all? It tastes amazing! I enjoy it spread with natural peanut butter on a slice of toasted raisin bread -- and it's great added to a smoothie. Nutiva products can be purchased direct from the company's handy online shop. 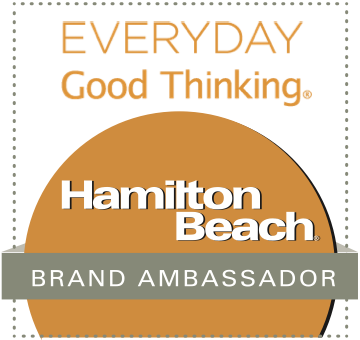 Disclosure: The companies spotlighted in Wendy's Great Eight provided product samples to facilitate inclusion. All opinions stated are solely my own, and I only recommend products in this column that I have personally tried and enjoy.